Nothing screams summer like these sweet and spicy Caribbean Jerk Chicken Sandwiches. Today was the perfect day to make these. With the heat and humidity around here it could feel like the tropics! You can prepare your chicken any way you'd like but I like to grill mine. They were a hit! In a large ziploc bag, pour 1/2 cup marinade over chicken. Seal and place in fridge for at least one hour. Remove chicken and discard marinade. Grill over medium high heat for 6-7 minutes per side or until juices run clear. About 5 minutes before removing from grill, baste with remaining marinade. 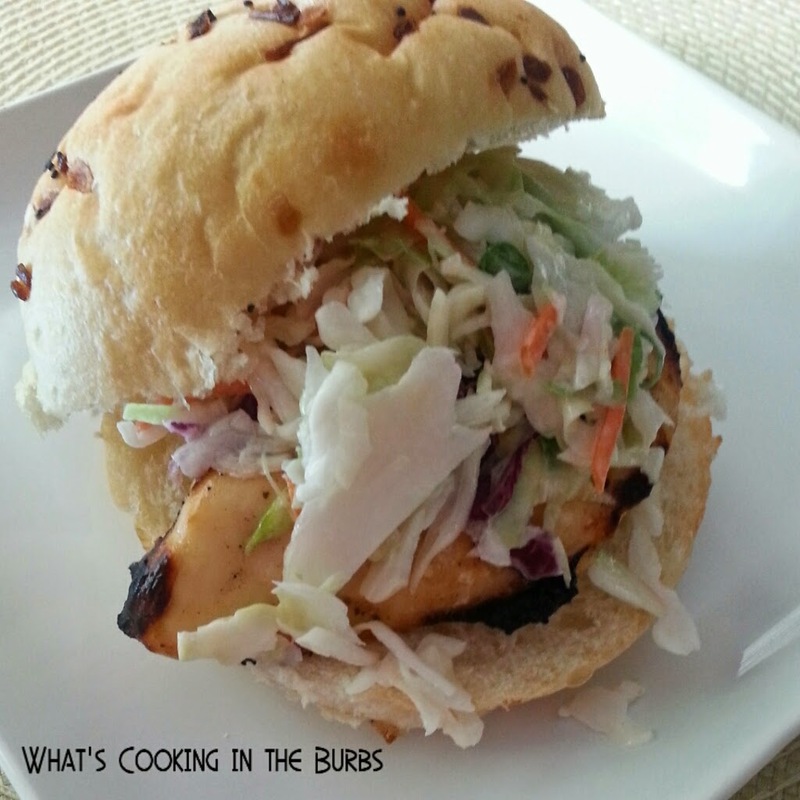 Assemble sandwiches by place one chicken breast in a bun and top with 1/4 cup citrus slaw. Enjoy! Oooh...this looks delish! Thanks for sharing. This looks so good and the photo is very pretty too! Stopping by from What'd You do this Weekend party. Thanks for coming by the Wonderful Wednesday Blog Hop. Love your post and appreciate you taking the time to share. Pinning today! I love this recipe...great way for me to get more veggies into the kids with the slaw. Thanks for sharing it on Merry Monday.